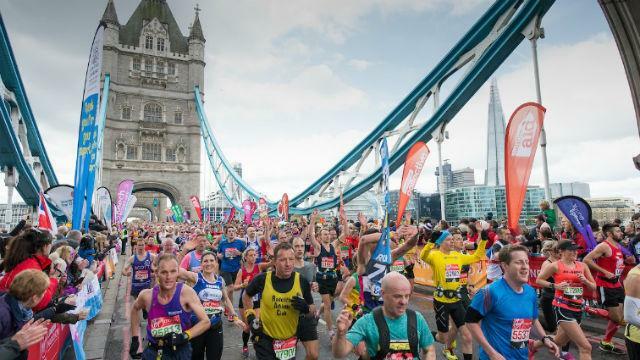 The race is 26.2 miles long and along the way has 1,263 portable toilets and over 100,000 metres of barrier tape. There are almost 700 drinking stations with water available and participants get through 650,000 recyclable bottles. 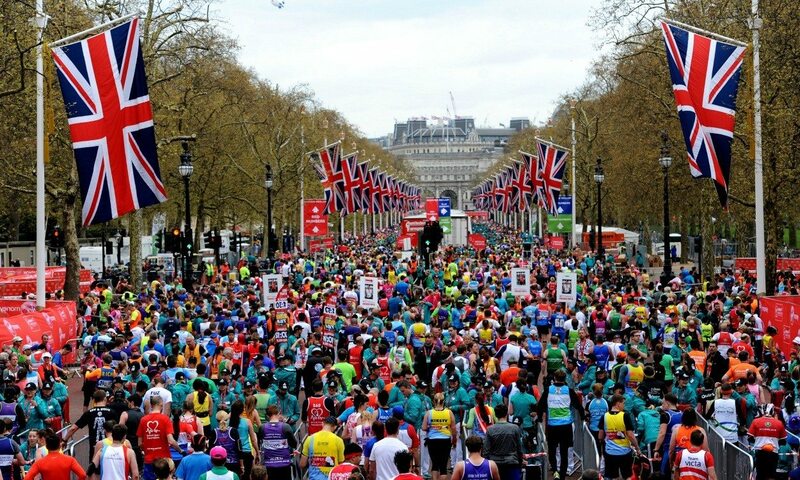 Each year the marathon attracts both members of the public and many celebrity faces. This year’s event saw 17 MPs put aside their political differences to run with each other. Some of the famous faces at this year’s marathon included Olympic runner Mo Farah, who attempted to beat the British time record set by Steve Jones of 2 hrs 07 mins 13 secs, set in 1985. Largest amount raised for charity – This record is also the world record and was achieved by the Reverend Steve Chalke who raised an astonishing £2,330,159.00 in 2011 for his chosen charity. Fastest runner – This honour goes to Kenyan man Eliud Kipchoge who completed the race in 2 hours and 3 mins in 2016. Oldest participant – This record belongs to Fauja Singh who was an impressive 93 years of age when he completed the race in 2004. He is still the oldest person to have ever finished the race. 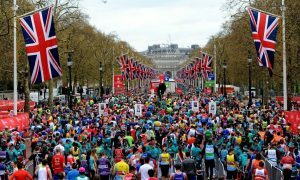 Longest volunteering record – This honour goes to Roy Webber who has been a volunteer at every single marathon in the capital since the event began in 1981. The fastest celebrity completion of the race goes to the cyclist Chris Newton, who achieved the race in just 2 hours 45 minutes. He managed to beat his own record the following year, finishing in 2 hours 39 minutes. The one millionth race finisher record goes Shannon Foudy from London. She was running the marathon for the very first time and received the fortunate title in 2016.